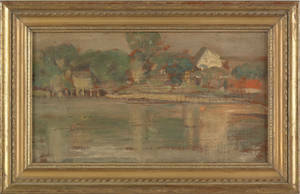 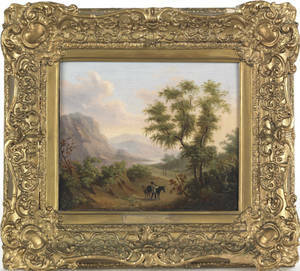 Spanish oil on panel country landscape, ca. 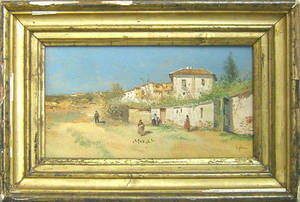 1900, signed "Ruiz", possibly Jose Ruiz Blasco, 7" x 12 1/2". 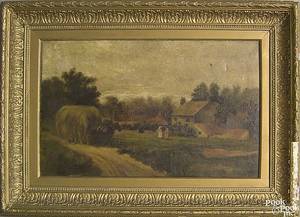 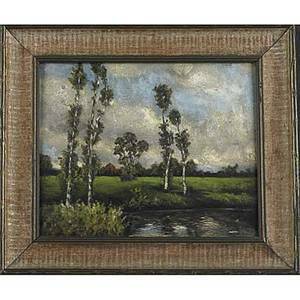 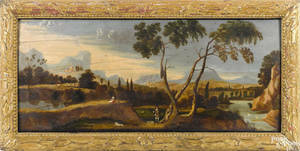 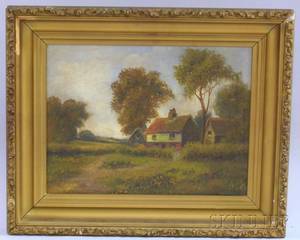 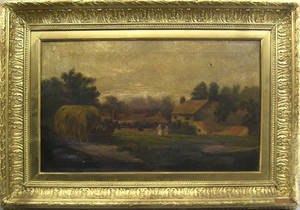 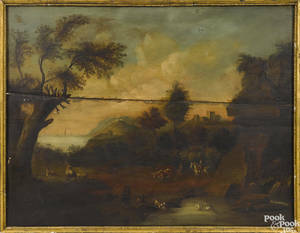 Continental oil on canvas country landscape, mid 19th c.
English oil on canvas country landscape, early 20th c.
English oil on panel overmantel landscape, 19th c.